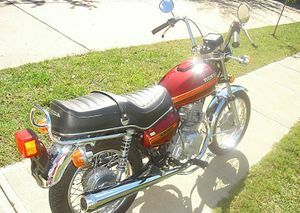 The Honda CM185 Twinstar was a 4-stroke 180cc street motorcycle built by Honda between 1978 and 1979. 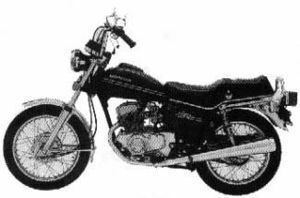 The Honda Twinstar (CM185T'78) was sold in 1978. Two colors were available: Candy Antares Red and Candy Sword Blue. The fuel tank and side cover stripes were white, gold, and black. 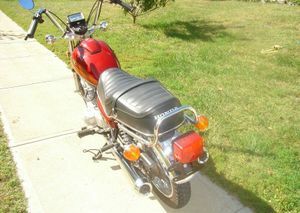 The "TWINSTAR" side cover decal was white. 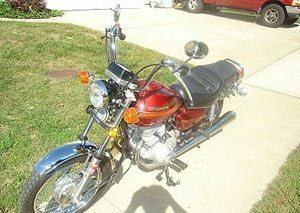 The engine was a 181cc parallel twin OHC with a 4- speed transmission. The serial number began CM185T-2000014. 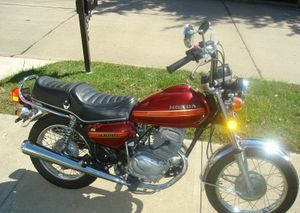 The CM185T'79 was sold in 1979 and came in the same two available colors: Candy Antares Red and Candy Sword Blue. 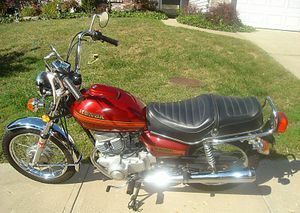 The gas tank and side cover pinstripes were gold. The wide stripes were red. The "twinstar" side cover decal was gold. 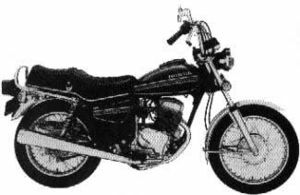 The engine was a 181cc parallel twin OHC with a 4- speed transmission. The serial number began CM185T-2000014.